If you’ve ever wanted to look like a jackass in public and maybe take home a case of conjunctivitis for the memories, well, Dave and Buster’s has a deal for you. On Monday, the arcade and food franchise announced that it will deploy the “the largest commercial VR arcade partnership launch” in history. 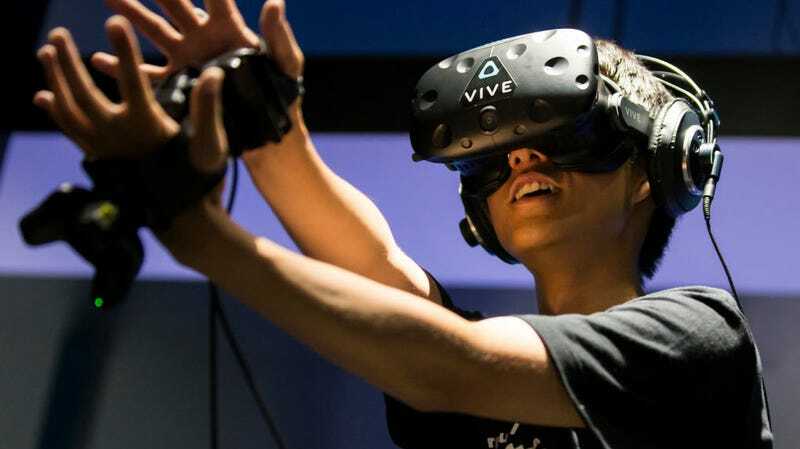 More than 500 HTC Vive headsets will roll out to 114 locations in the US and Canada as part of an initiative to make virtual reality more available to consumers. 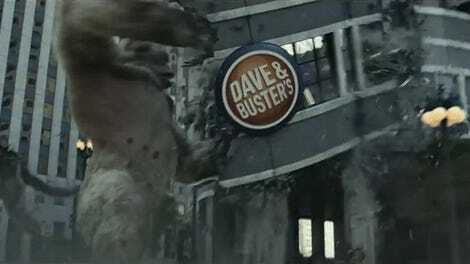 It’s also obviously an effort to add something novel to Dave and Buster’s volatile business. According to the announcement, this will be more than just the standard Vive experience you could have from the comfort of your home. The headsets will be “paired with a proprietary, multi-participant motion platform created exclusively for Dave and Buster’s.” You don’t have to wait for the June 14 launch date to find out what that means, because the company already previewed its first title. According to VentureBeat, Jurassic World: Fallen Kingdom, will be the first offering and the featured game will be switched out regularly. You and up to three others can play as park rangers who must locate escaped dinosaurs and put them back in their pens. Honestly, this isn’t a terrible idea. VR is far from ubiquitous and many people haven’t gotten to try it. Hell, I work at a gadget blog and though I’ve used most of the big headsets, I’ve never played with them long enough to feel sick. From what I’m told, that’s how you know it’s working. 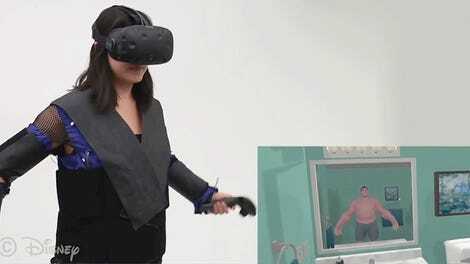 As far as health concerns go, there are already VR arcades out there and they usually have sanitary throwaway masks and wipe down the gear after each use. Another concern is that long lines will have you waiting behind some brat screaming that it’s their birthday and they shouldn’t have to wait for anything. To solve that issue, Dave and Busters plans to simply send customers a text when it’s their turn. It’s also not crazy expensive at $5 per person. There’s no word if there will be a drink limit for adults who hope to use the nausea-inducing machines. But if not, there surely will be after the initial test phase.